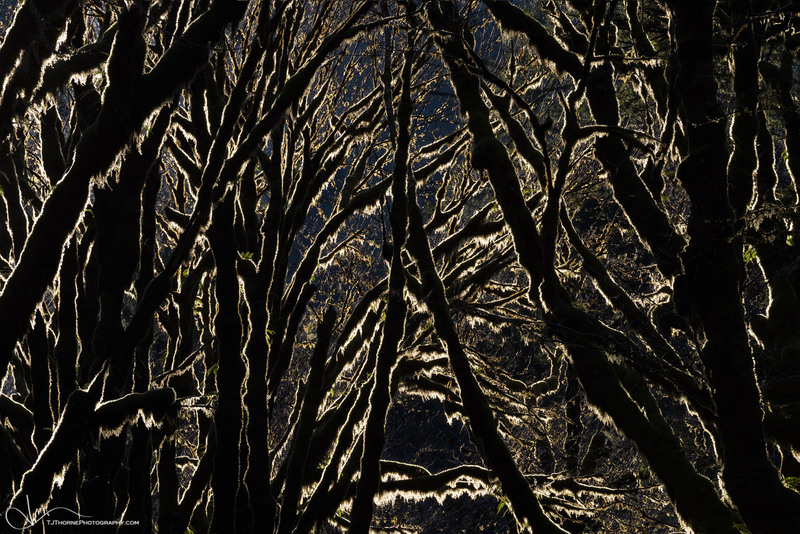 I’ve always been entranced by Oregon’s mossy trees. I vividly remember my first drive through the Columbia River Gorge in 2001. I had never been to Oregon but there I was 2,500 miles away from everything and everyone I had ever known, my belongings in a trailer, relocating to a place that had beckoned me for years. I’ll never forget the excitement and wonder I felt when I saw the moss on the highway barriers and shoulders as I drove into the unknown. It was welcoming, as if the forest had laid out a green carpet for my arrival. The thoughts of Oregon being the basis of fairytale worlds still run through my mind all these years later. I was younger at the time. I was naive. I was alone. But I was… free. I never once had second thoughts or apprehensiveness about that drastic decision to up and leave my hometown all those years ago. The pacific northwest just felt comfortable to me from the moment I arrived. Having grown up with a forest in my backyard, the accessibility of such an environment was enticing, though I didn’t know how important it would ultimately be for my soul. I’ve always been one to get ‘lost’ in the forest. Growing up, it was my playground. I had lived in a rural area with no parks nearby and although we lived along a stretch of road with other houses and neighbors, none of them had kids my age that I could play with. I entertained myself in the outdoors. Whether it was making dirt bike trails through the trees and fields, following creeks through ravines and searching for overhead vines that I could cut loose and swing over the creek on, or building forts in hidden corners of the forest, I felt at home. I felt comforted. It was a familiar sense of place when I started exploring the forests around Portland. Though I was on the other side of the country from where I had grown up, I was able to find that same comfort amongst the moss covered trees. In fact, I would say I felt more comforted and even as an adult I found my ‘forts’ in hidden corners of the forest. Places where I would disappear to. Places where I could lay on the ground and be cushioned by moss several inches thick. Places where I felt sheltered by the glowing branches. Places where I felt the same childlike excitement that I did back home and where I could be whisked away into one of those fairytale worlds. I found that no matter how I was feeling, when I got lost in those forests, my soul would be elevated. My feelings about the forest are all summed up in this quote by Henry David Thoreau: “I went for a walk in the woods and came out taller than the trees.” There’s just something about the forest that exudes strength, hope, and resiliency. I’ve fought my most serious battles in life amongst the trees, and no other place in nature lifts my heart like they do.